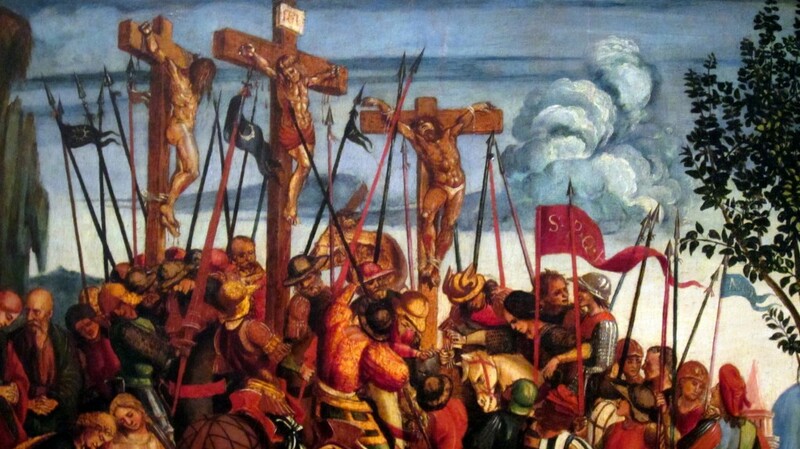 Luca Signorelli’s Crucifixion fills me with pity for our Lord. It is so very crowded. So noisy. So busy. Here Jesus is trying to take on the sufferings of the entire world, and we can’t even give him a moment to do so in peace? Wise ones talk about dark nights of the soul, and feelings of emptiness and the silence of death. Yet for me it seems that there is little worse than the noxious noise of this world which just will. not. shut. up. So I pity the dear God of this painting who is pierced as a dead man in a ridiculous crowd. And I wonder whether Jesus finds within me a similar sort of crucifixion in my pathetic tumult. I read this post a few days ago and I just LOVE it. I am going to bookmark it so I will remember to come back and meditate some more..